Mifeprex pill contains 200mg Mifepristone, anti-progestational (synthetic steroid) used to terminate an early pregnancy. It blocks hormone (progesterone) required to develop pregnancy. 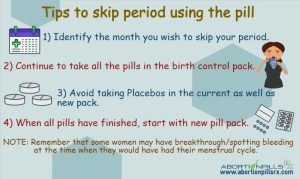 The medicine is only approved to end pregnancy up to first 10 weeks. 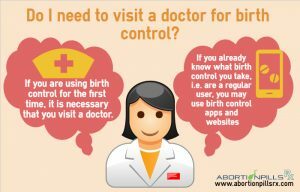 When you take Mifeprex, you have to consume another medication, Misoprostol, 1 or 3 days later. Only 2 to 5 percent of females may require surgical procedure for ending pregnancy or stopping too much bleeding. The tablets are biconvex/cylindrical and yellow in color, taken orally. It consists of inactive ingredients: corn starch, microcrystalline cellulose, colloidal silica anhydrous, magnesium stearate, and povidone. Mifeprex Online are safe, and FDA approved. We do not process Order Cancellation Request for Mifeprex, if the item ordered is already approved. No orders will be refunded or canceled if these are qualified for Express Shipping and Overnight Delivery. 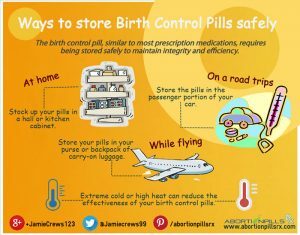 We request buyers double check before placing an order at abortionpillsrx.com. The anti-progesterone activity of the abortion pill results from its interaction with the hormone at the receptor sites. The pregnancy termination results by antagonizing the myometrial and endometrial effect in women. The prostaglandin activity is also contradicted, which breaks away fetus from uterus lining, bringing a stop or nutritional and oxygen supply to the unborn. Cervix begins to widen, and mild contractions are initiated in womb to remove the fetal remains from the uterus. On the day 1, woman consumes orally 1 Mifeprex tablets of 200mg. The person has to then utilize Misoprostol (800mcg) either in the cheek pouches or vaginally later to 24-48 hours. A combination of both the medication will raise the efficiency of abortion from 95 to 97%. It is not mandatory to take a meal beforehand, but light meal is fine. Avoid smoking, alcohol consumption or overdose. The woman must understand that during Mifeprex abortion, she may experience mild to moderate abdomen pain and cramps because of uterus contractions. The pregnancy parts are ousted in large blood clots and heavy bleeding. It takes approximately 2 weeks to complete the procedure. If the treatment fails, then surgical method will be needed to terminate pregnancy. Do not continue with pregnancy once the tablets are taken, or it can cause complications and fetal malformations. Women can take Mifeprex for terminating pregnancy, which is in uterus and not outside it. The pregnancy must be within 70 days of gestation. Ultrasonographic scan of womb can assess the gestation age or if the pregnancy is ectopic or otherwise. If an intra-uterine device is there, then the person has to get it removed before taking a treatment with anti-progesterone tablets. Any consequences from Mifeprex dosage are minimal and disappear quickly after ending of pregnancy. Some side effects women encounters are dizziness, diarrhea, vomiting, nausea, headache, tiredness, abdomen pain etc. There is no data supporting efficacy of Mifeprex use in females with chronic medical conditions like hepatic, cardiovascular, hypertensive, renal or respiratory disease, severe anemia, diabetes, and heavy smoking. Those who smoke more than 10 cigarettes a day need to proceed with caution on advice of doctor. Women more than 35 years of age should not take medical method for pregnancy termination. Avoid stressful physical tasks during medication procedure. The serum level of Mifeprex may increase, if it is taken with grapefruit juice or along the course of treatment with itraconazole, erythromycin, or ketoconazole. Mifepristone serum level falls, if it is combined with St. Johns Wort, rifampin, dexamethasone, and anticonvulsants (phenytoin, carbamazepine, or phenobarbital). CYP 3A4 substrates must be avoided. Confirmed ectopic pregnancy, or abnormal adnexal mass. Allergy to Mifeprex and abortion tablets. Anticoagulant therapy or bleeding disorders.